Tired of losing picks and paying too much to replace them? 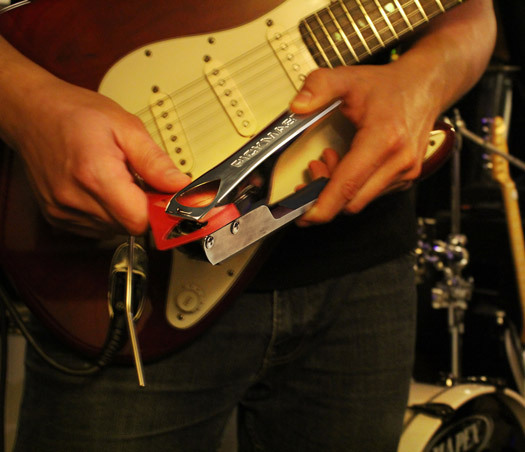 Personalise your playing by making your own plectrums with the Pickmaster®. This cunning tool not only recycles packaging and other plastic sheeting, it will also save you time and money! Introducing the new and improved Pickmaster® Precision. 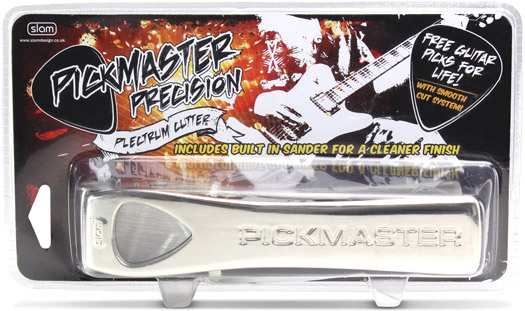 The Pickmaster® Smooth Cut is great, but the new Precision version is even better! 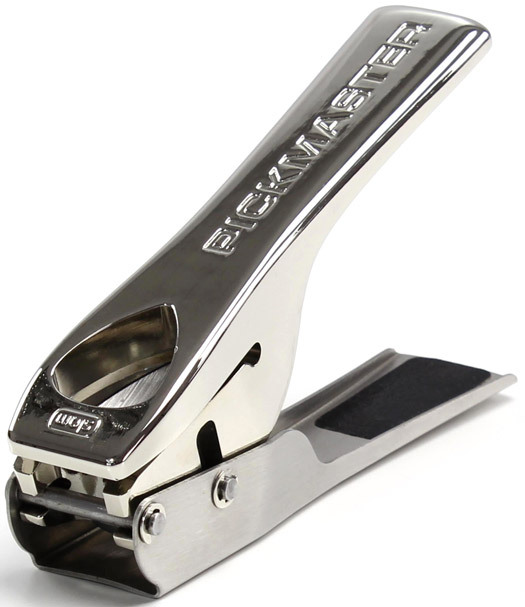 We have re-designed the Pickmaster cutting head to make it shear though most soft plastics up to 0.9mm with even less pressure required - making it easier for you to use. The design is slik and the buld is even stronger - with improved fixtures and looks. 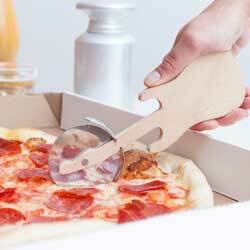 The new mechanism also reduces the amount of tear on the plastic being cut giving a smoother edge. For any rough areas left over, there is a fine sander built into the the handle. This will allow you to take off the remaining burrs. 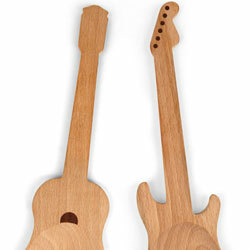 Also, for the “picky”, you can rest your plectrum on the lip of the handle whilst sanding to provide a more even angle of attack resulting in a consistent edge on the pick for smoother performance. 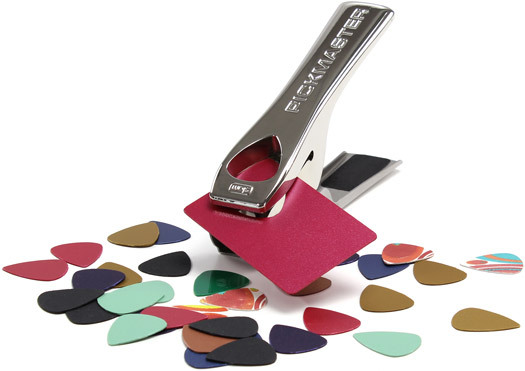 The Pickmaster features the Plectrometer™ on the packaging that allows you to measure the height of your stash of plectrums and calculate their value (based on a thickness of 0.7mm at 50p each - other currencies are available..!) 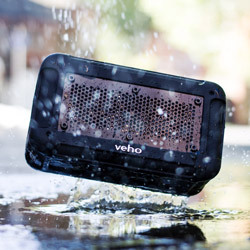 It comes packaged in a self-standing or hanging plastic clamshell.